Are you filing your nails or playing the worlds smallest guitar? 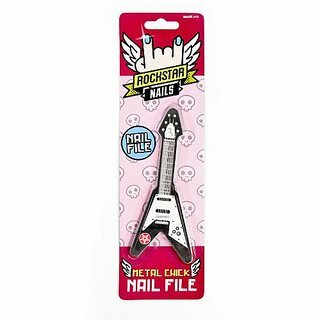 Are you a Metal Chick? Either way there's a guitar to suit your musical self. Achieve star quality results with this double sided 150/180 grade nail file.